Maren Higbee (Patterson) grew up in Seattle, Washington with a love for film and writing. After her four years at Ithaca College's Film School she moved to Los Angeles to pursue her dream of writing and directing films thinking there she'd land a great career and find the love of her life. After a few years working on a variety of projects she found herself entrenched in the brand new Reality Television business. While Maren liked the way her career was going, she was becoming more and more unhappy because she wanted a husband and family of her own. So she took action she spent her very limited time off work hanging out with other single girlfriends and of course dating. Finally after many failed dates she realized there was one very distinct common thread, but this wasn't easy to take. What did she discover? With the help of her other single friends she realized that that SHE was the only consistent element in all these dates, so it was about her and not the men. She was a certified one date wonder! With this new concept in mind, she decided to slow down and start enjoying friends and focus on her career, and it continued to go well. After ten years she was still single and now held the role of a supervising producer. She discovered she was missing Seattle and her family. So, Maren decided to return to her beloved Northwest. Here she began working on local video and advertising while writing her fiction novel and continuing to seek her soul mate. Finally, one night in late July she met her now beloved husband. 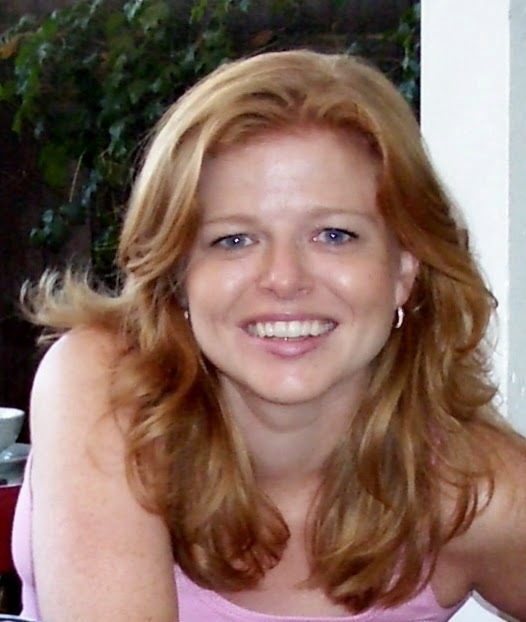 Today, she is happily married and lives in West Seattle where she continues to write and work on advertising campaigns. Thank you so much for taking the time to speaking to All Indie Magazine. You have an amazing story and your book seems to surround the idea of being single and your journey of finding "Mr. Right", am I correct? Maren: Yes! I had quite the time working in the beginning in the land of reality tv in LA all while trying to find my Mr. Right. I never tried anything quite as crazy as offering a $5K finders fee for a husband like Lana does in Lana Fray and the Grand Plan, but my experiences did inspire her crazy yet funny journey. You are a very successful independent woman and have a very established career as a reality TV producer and in reading into your book, it's as if you have taken your gift of reality TV scripting and created an almost comical challenge by getting people to help you find "Mr. Right". Was this the reason why you decide to write a book about it? What was the motivation behind publishing this book? Maren: Reality TV is an interesting style of storytelling. You wait for things to happen then you weave them together to make a good clean story. As reality tv producers, we often have hundreds and hundreds of hours of footage to make one show which is usually forty minutes long once it airs with commercial breaks. Lucky for me in writing I have a lot more leeway than a network tv timeframes afford. It is very safe to say that my work in reality tv did influence my style in writing this book and will continue to as the series continues. 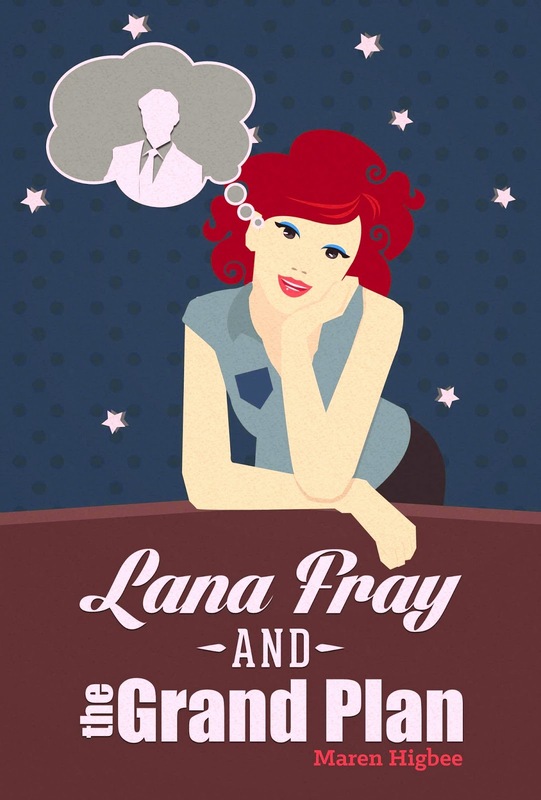 Does “Lana Fray And The Grand Plan“ fit for both men and women readers alike or is this specifically written as a personal message for all the women whom have had similar trials in life finding "the one"? Maren: Yes! Lana’s journey isn’t just about finding Mr. Right but really about finding out who she is and what she truly needs in a partner. She learns that she needs to get over the fairytale and be herself. Then and only then will she find Mr. Right… which is a lesson I think applies to anyone and everyone looking for their mate. This is why the main character, Lana, is now also continuing to explore this journey through her blogging at Lanafray.com, tweeting @lanafraybooks and she has a facebook page. Check it out! Not to give the book away, but can you pin point why it is so hard to find the right person? Conflicting interests and goals? Different values? Do you think television and social media have contributed to this demise or is it all of the above? Or do you even have an answer? Maren: It is difficult to find a partner because you need two people who are honest about what they need and able to see the other person for who they are not who they want them to be. In the end the challenge is different for everyone, but being honest with yourself is one of the biggest keys to being happy with a partner or realizing that maybe having a partner isn’t what you truly desire. Maren: When I was a little girl my mom and dad gave me a typewriter that they had in a closet. I would sit down and type my little stories that mostly consisted of slightly modified fairytales. I’d take my stories out and show them to my folks proudly telling them I was an author! So yes I’d say it’s been a dream for a long long time! What writers inspired you to write? Maren: I’m inspired by the vivid journeys of Paul Coelho, the humor and self-reflection of Marian Keyes, the deep lessons in a simple moment from Jhumpa Lahiri, the fantasy and darkness of Anne Rice and the twists and turns of Gillian Flynn to name a few of my favorites! Do you think this is the start of something bigger and will motivate you to write more books to follow? Maren: Lana and her friends have already started working out their journey into the craziness of the next phase of their lives. I expect the second book in the series to be out in the Fall of 2015. Do you mind me asking about Patterbee Publications? Is this your publishing company and did you independently publish your book? Maren: Yes, Patterbee Publications is my publishing company. After sending my book out to many publishers one was kind enough to read my book and speak with me for over an hour. She said she loved the book but told me that the days of publishers taking a risk on first time authors isn’t necessary. That now, it was important to get the book out and create a following to show publishers that this book will sell. She has kept in touch and helped guide me as I self-published Lana Fray and the Grand Plan. Would you consider backing another author and publishing other books? Maren: This is a possibility for the future, but at this point I’m still learning and the learning curve is heavy. Do you have any future plans to do a national book signing tour and can people pick up a physical copy of your book at a local retailer or is it strictly only available online? Maren: Currently, I am in discussions with many small book stores and with a few major chains. Right now the book is available in Seattle at Smooth Sugaring Studio in Madison Park as well as on Amazon, Barnes and Noble and Kobo. Thank you so much for your time and best of luck!